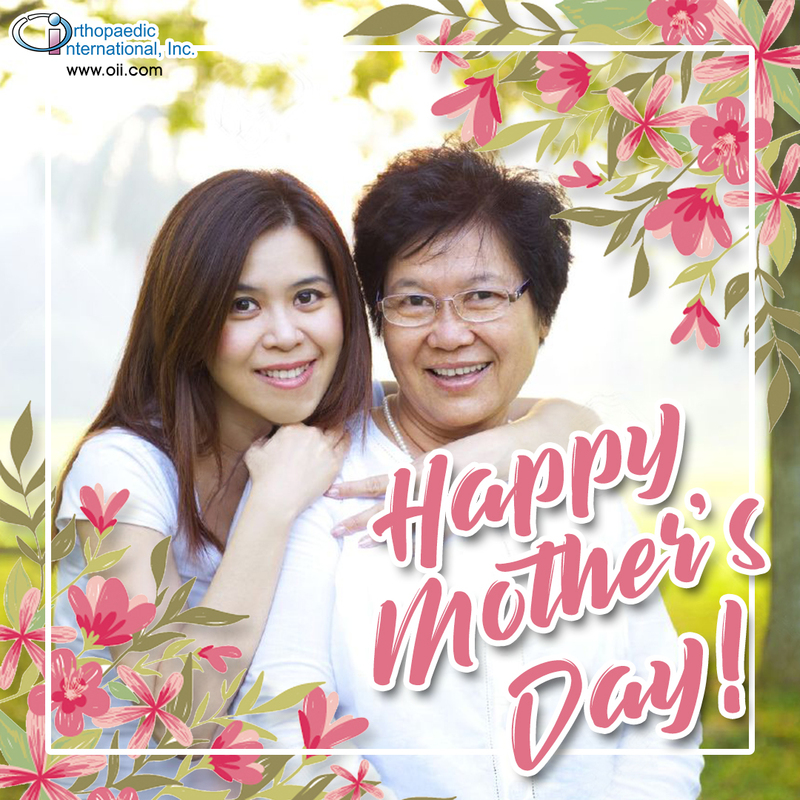 The Best Gift for your Mom this Mother's Day - Orthopaedic International, Inc.
Of all the gift life has to offer, a MOTHER is the greatest of them all. And what probably you could give her to show your love towards the most important woman in your life? It can be a spa treatment, shopping spree, beauty makeover or a ticket for her dream trip, but have you think that freeing her from aching knee could be the best gift you could give her? If you worry about the budget, Axis Knee System costs 40-50% lower compared to other knee systems in the market because it is developed in partnership with DOST-PCHRD. A world class quality at an affordable price! Also, you can apply for the PCSO medical assistance of the knee implants to lessen the cost of the procedure. Have your mom checked by an expert orthopedic surgeon today. We can refer Axis Knee expert orthopedic surgeons near your location and we'll be glad to assist you with the procedure. ‘Cause we want your mom to be free from pain we can help your mom to have a schedule with our partner doctors. You can also visit our website www.oii.com or you may call/text 0999-915-7791 for more information on Axis Knee System.